In version 7.1 of PCSWMM, we will be releasing some significant new features including additional runoff methods such as the rational method. 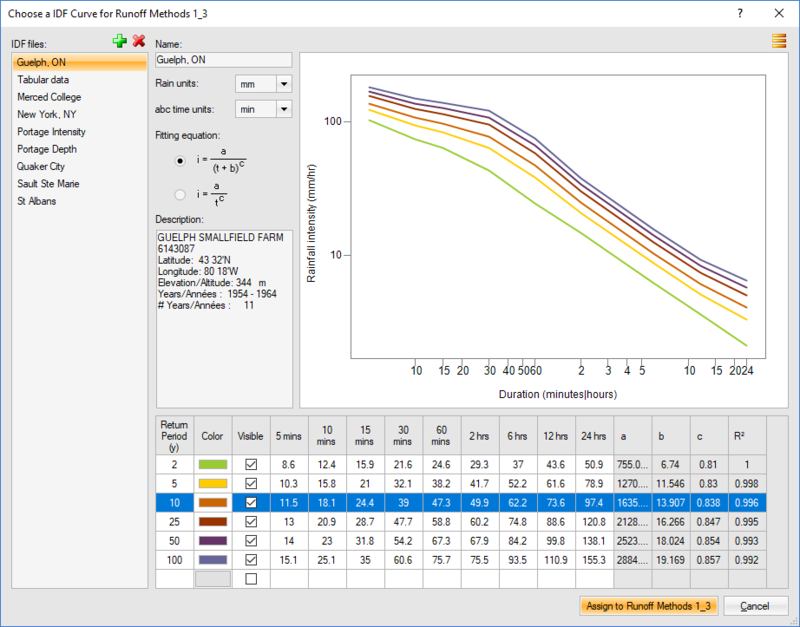 To support these runoff methods, we have expanded PCSWMM's ability to support IDF curve data with a new IDF Editor and IDF tab in the Graph panel. New capabilities include importing IDF data from NOAA precipitation frequency estimates and Environment Canada data, calculating a, b, c values from user data and plotting IDF curves and events in the Graph panel. Be sure to check it out in the release later this month!